Want to make an impression this Easter? 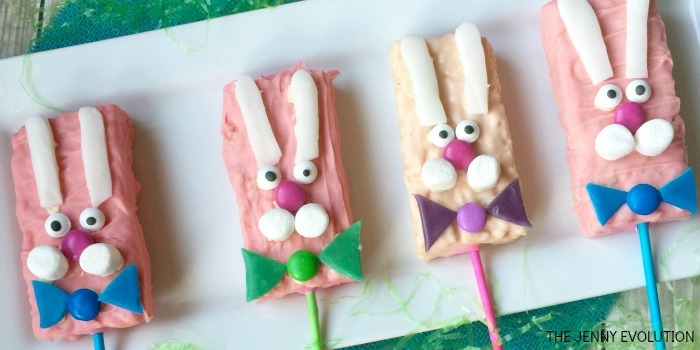 Make these bunny Easter Rice Krispie Treats! 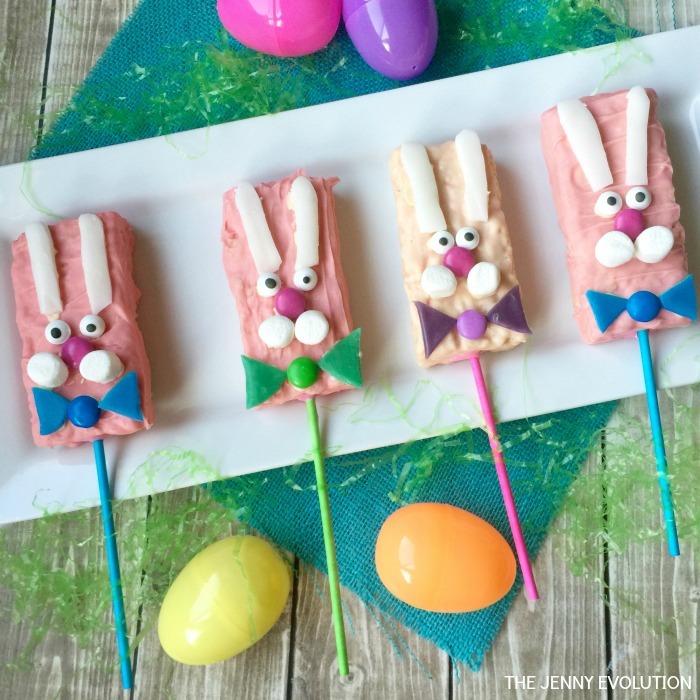 Served up on a stick, bunny Easter rice krispie treats eat like a pop treat and will become an annual favorite. First, you need to make your Rice Krispie Treats! Spray a 9 x 13 pan with vegetable spray and set aside. Once the marshmallows are melted, remove from the heat. Using a rubber spatula, transfer the cereal mixture into the prepared pan and press down firmly and evenly. Cut the prepared Rice Krispies into eight bars. Take the white airheads candies and cut out 4 bunny ears per piece (16 total). Cut out 6 triangles from the blue airheads candy. This will be for 3 bowties. Cut out 4 triangles from the green airheads candy. This will be for 2 bowties. Cut out 4 triangles from the purple airheads candy. This would be for 2 bowties. Add the pink chocolate melts and stir occasionally until melted. Remove from heat. With a spoon, coat each Rice Krispies bar with the melted pink chocolate. Place on baking sheet to “set” for at least 20 minutes. Lightly pipe cookie icing on the back of 2 ears and place on the front of bar. Dab a small amount of icing on the back of 2 candy eyes and place on the bar right underneath the ears. Dab a small amount of icing on the back of a pink M&M and place it on the bar for the nose. Apply icing to the back of 2 mini marshmallows and place them below the nose, side by side. Dab a small amount of icing on the back of a blue M&M and place it on the bottom of the bar. This will be the middle of the bow tie. Apply icing to the back of 2 blue triangles and place one on each side of the blue M&M for the bow tie. You want it to be purple, use a purple M&M and 2 purple triangles. Insert a cookie stick into the bottom of the pop halfway through. 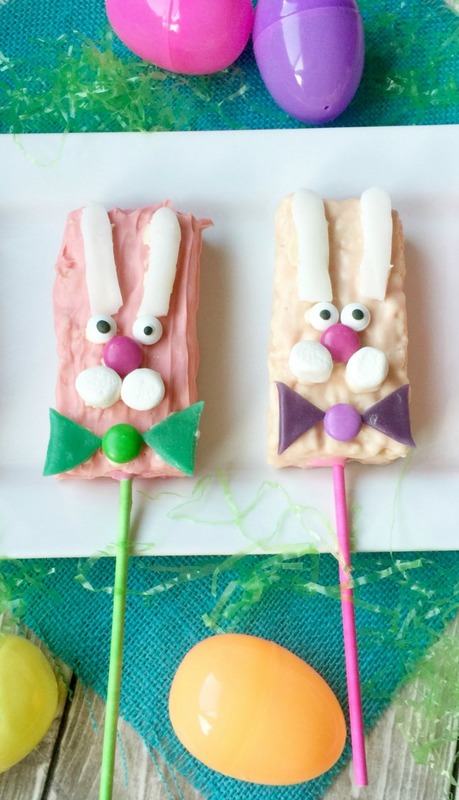 Like this bunny Easter Rice Krispie Treats Recipe? Find more inspiring recipes on Mommy Evolution! Those are so cute! thanks for sharing on the What’s for Dinner link up! That is way too much cuteness, Thanks for sharing at DI&DI. Oh my, these are so cute! They don’t look to hard to make either. I’ll have to make these with my kids this week. Thanks for joining the Family Joy Link Party! These are just too cute. 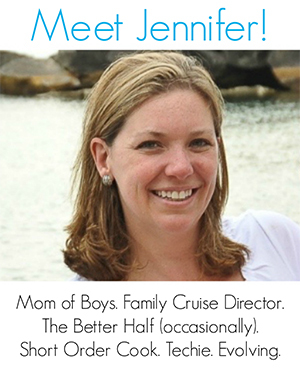 Thanks for sharing at Over The Moon Party. These are so cute! 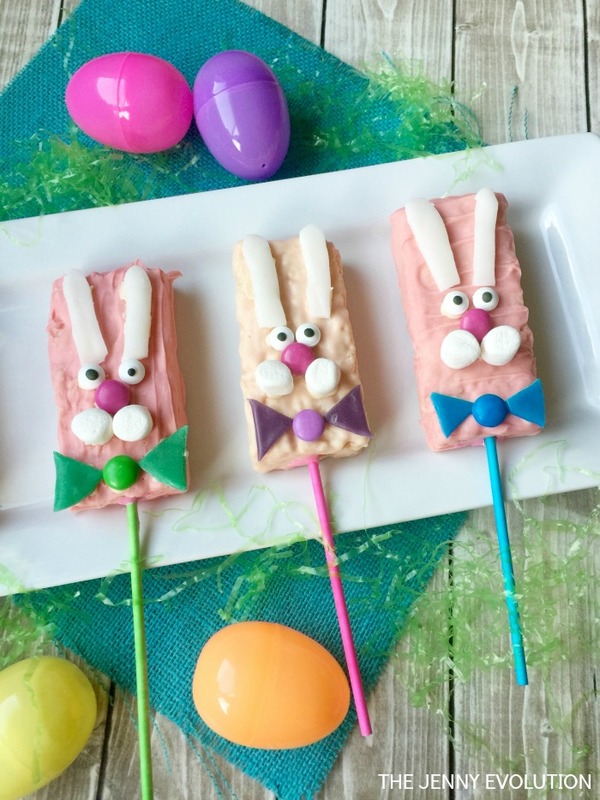 What a fun Easter treat idea. Thanks for sharing at Snickerdoodle. We’ll be featuring your Easter Bunny Rice Krispie Treats at tomorrow’s party. Hope to see you there! They are absolutely adorable! Thanks for bringing these bunnies along to Fiesta Friday! I hope you find the time to mingle, it’s such a wonderfully Easter-themed mix of posts this week. Jen, these are cute! And what fun for kids to help wiith! The bunnies are really cute! Oh my gosh, these are so cute!! Perfect for an Easter treat. Jennifer these are so cute!! Thanks for sharing at the What’s for Dinner party!! Have a fabulous week. Thank you for sharing your Easter rice krispie treats recipe at Create, Bake, Grow & Gather this week. I’m delighted to be featuring it at tonight’s party and pinning too.